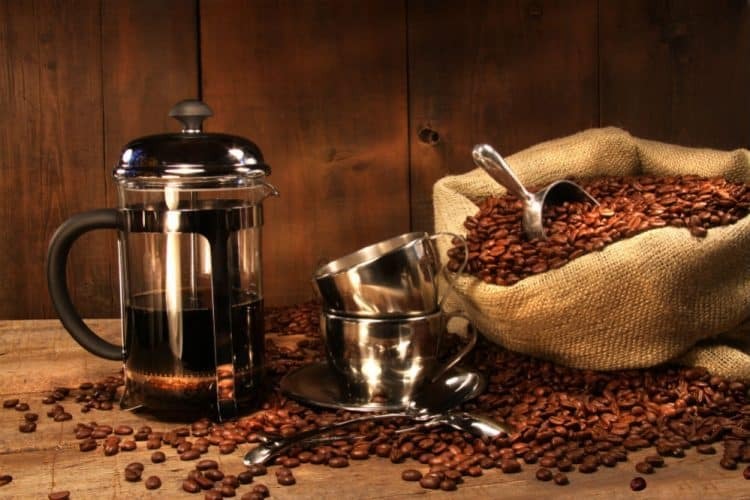 If you are a coffee lover and you have the best French press coffee maker in your kitchen, we are sure that your mornings, no matter how stressful, are full of warmth and class. Why do we say so? It is because a lot of coffee connoisseurs still view the “French press way” as being the best method of brewing coffee. The only problem is there are a lot of French presses to choose from. We have the most basic ones wherein a simple system is employed with the use of a plunger, and there are those that have a lot of filters to ensure that you get the cleanest brew possible. Truly, in the end, whether you have a good French press or not, you are not really defeated because you get to enjoy a cup of coffee in the end. But what will make you stand out from the rest is the fact that you have great tasting coffee, just how you imagined it. Also, a French press can make regular coffee bean taste like a premium one. Do you want to elevate your mornings? Then keep on reading to find out which among the three French presses that we reviewed is definitely worth the money. We called this one as an indestructible French press, but when you first look at it, you will not think that it is such. Surely, it can be a potentially deadly weapon like the ones the protagonists use in action movies. 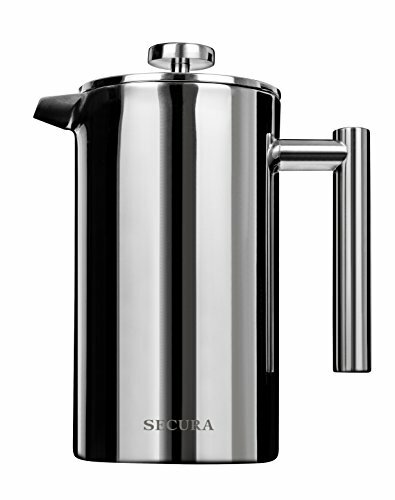 Exaggeration aside, this French press was made to last due to it being made of 10/10 steel that is stainless, and the material is not only for its exterior but also for the interior. As for its filter mechanism, it has three layers so that it can filter out even the smallest grounds to give you that robust coffee flavor. The steel screen which is also stainless is included in your purchase, and you can use one or more screens to adjust the taste of your coffee. This French press has a cool-to-touch knob and handle to prevent you from burning your hand once you are ready to pour your coffee. Also, the capacity of this product is 1000 ml., which is approximately four to five cups of coffee. Lastly, all parts of this French press are safe to be washed in the dishwasher. The first brews have a slight metallic taste. 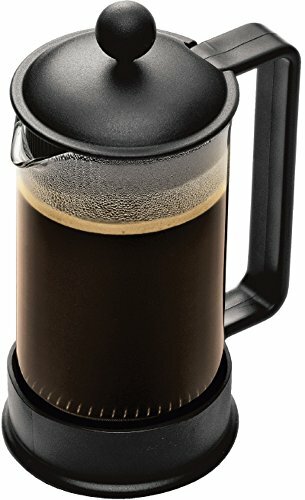 From a commercial grade French press, we now move on to the classic French press. We are talking about that simple plunger with a glass carafe which can only hold two cups of coffee. However, in this case, you have the same classic French press, but you can get eight cups of coffee out of it. It has four levels for its filtration system, and the plunger was made to be durable due to its base plate that is spring-loaded. There is also a top lid strainer to help filter out any stray grounds. The material used is stainless steel that is 304 in grade, while the glass carafe is made of borosilicate glass. This type of glass can hold its own against boiling water. More than that, it comes with a detailed instruction manual. From this manual, you can learn how to properly brew your coffee based on the taste that you are after. 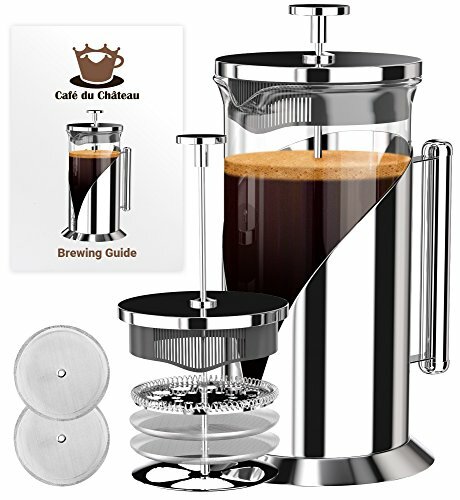 Accordingly, it also teaches you how to brew tea, cold brew, and espresso using the same French press. The glass might break after a long time of consistent use. The metal base is prone to rust. We now arrive at the last French press, and this time, this product is not boasting about its durability or its simple design. Instead, it promises flavorful coffee with every brew. If that does not ring as being the best French press coffee maker, we do not know what will. Is there truth to this claim? Let us look at its features to find out how this is possible. First off, the carafe is made of borosilicate glass. As for its handle, it is made of BPA-free plastic, and the same goes for its base. The secret behind its flavorful coffee brew is in its mesh filter, which is made to perfectly extract the aromatic oils from the coffee grounds to produce a subtle flavor. According to the brand, their mesh filter does not compare to other paper filters in terms of producing that delicate flavor. Also, it has a plunger that is made of stainless steel. Additionally, it is the only French press in this list which does not have a double or triple filtration system. Lastly, it can brew up to three cups of coffee and is dishwasher safe. The French press to beat is the Cafe Du Chateau French Press Coffee Maker because when it comes to French presses, you better stay with the classics. Also, with this French press, you get a twist as it has a modern filtration system that can improve the flavor of your coffee. At the same time, you do not only get to enjoy a good cup of coffee, but it can also be used for different hot beverages.